China Telecom reported Q2 net income of 5.68 billion yuan ($752M), unchanged over the same period last year, and short of analyst expectations of 5.90 billion yuan. China Telecom faced increased competition from mobile carriers, which offer cheaper rates than China Telecom's fixed-line access. Revenues rose 3.8% to 44.30 billion yuan. 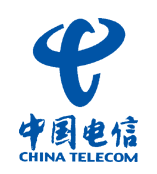 China Telecom controls 60% of the domestic fixed-line market, but not only do mobile users outnumber fixed-line subscribers (501.7M vs. 372.7M as of June '07), China's largest mobile carriers reportedly signed up ten-times as many users as fixed-line operators in the first-half of 2007. China Telecom's net fixed-line subscriber additions fell 83% in Q2 to 1.5M. However, high-speed internet subscribers increased 27% y/y to 32.2M, for a 54% market share.